Short and sweet, this trip combines three of southern Africa's most exciting places – Hwange and Kruger national parks and the jaw-dropping Victoria Falls. From South Africa's big modern capital to a traditional village in Botswana, you'll experience all kinds of communities, cultures and landscapes in just over a week. Oh, and did we mention animals? Rhino-tracking and 4x4 safaris in search of the Big Five will blow your mind. Meet the Hananwa people at a small village in South Africa's Limpopo province. Listen to stories of this fascinating community as your hosts prepare you a traditional feast. This is the real South Africa! Mhoro! Welcome to Zimbabwe. Your adventure begins with a welcome meeting at 6 pm. You can arrive at any time as there are no activities planned until this important meeting. Please ask the hotel reception where it will take place. If you can't arrange a flight that will arrive in time for this, consider arriving a day early so you are able to attend. If you are going to be late, please inform the hotel reception. We'll be collecting your insurance details and next of kin information at this meeting. If you arrive early, check out some of the optional activities around Vic Falls. 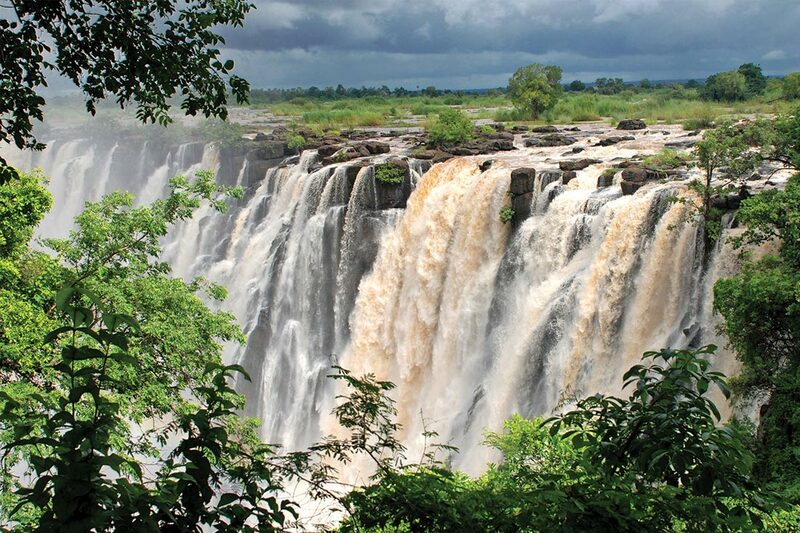 The Zimbabwe side of the falls offers the broadest view of this colossal natural wonder. Scenic helicopter flights are incredible – if you choose to go for one, choose Zambezi Helicopter Company (CAA Zimbabwe), the only operator Intrepid endorses. Leave Vic Falls behind and head to Hwange National Park (approximately 5 hours, depending on traffic) via the Victoria Falls Wildlife Trust, one of The Intrepid Foundation projects. 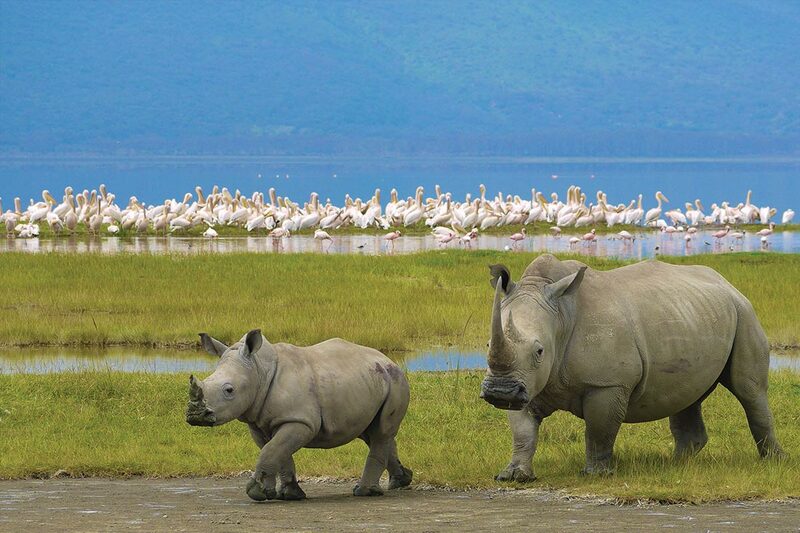 Here you can learn about the rescue and rehabilitation of wildlife, human-wildlife conflict and their role in anti-poaching. There may also be a chance to meet any rescued or orphaned wildlife currently in their care. 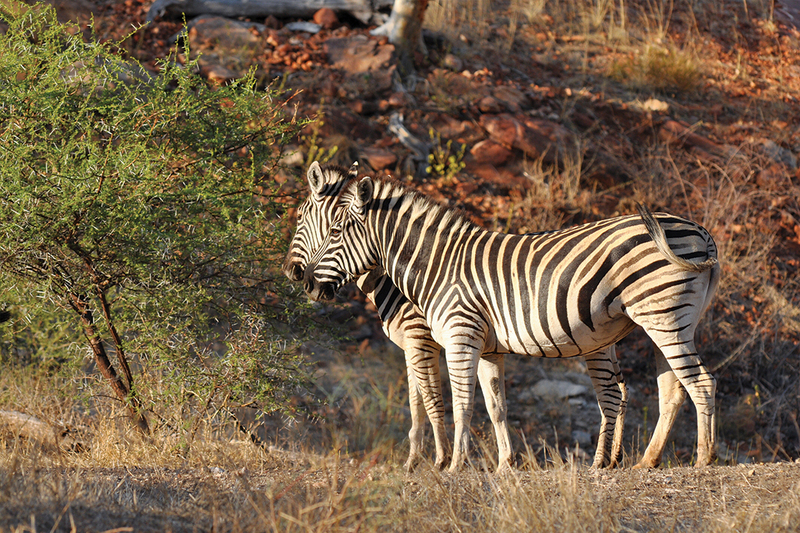 Then explore the stunning wildlife arena of Hwange in an open 4X4 vehicle. 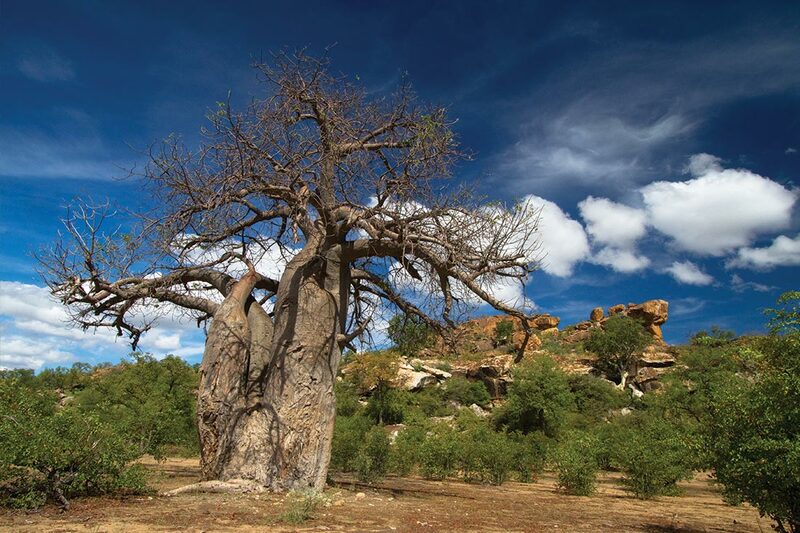 This National Park became the royal hunting grounds of the Ndebele warrior-king Mzilikazi in the early 19th century and was set aside as a national park in 1929. Today Hwange boasts a massive selection of wildlife, with over 100 species of mammals and nearly 400 bird species. But it's the elephants this place is famous for – here you'll find one of the largest elephant populations in Africa. At tonight's camp there is wi-fi as well as optional accommodation upgrades (subject to availability). Intrepid was started by two friends from Melbourne, Australia, in 1988 after embarking on a trip through the wilds of Africa in a modified ex-council truck, crammed with friends, supplies, a handful of aviator sunglasses and a case or two of beer. Could this type of travel be something others would be interested in? The answer was a resounding yes and today Intrepid send 100,000 travellers across the globe each year with the help of a staff of 1,000. After three decades, founders Darrell and Manch, feel they know what travellers want. They get that it’s a big decision to fly across the world to wander the souks of Marrakech or enjoy a dreamy Angkor sunrise. They understand that you’re looking for a balance of inclusions and free time, a mix of classic highlights and local secrets you won’t find on Google. And of course, an authentic real life experience. Their leaders are born and raised in-country and they know their destination better than anyone. So you’ll do more than just see a place, you’ll live it. 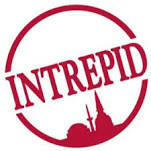 Small groups, big adventures and responsible travel – that’s Intrepid’s thing. With 1,000 trips in a variety of styles across 100 countries, you’re sure to find something you like. Intrepid believe the real magic happens well away from the beaten path. It’s the little noodle bars, hidden galleries and backstreet bodegas and real life experiences you won’t find in a search engine. Real life experiences are those moments you know you’re really alive and experiencing something special. While it could be the instant you see one of the world’s great icons for the first time, it is more likely to be the moment you find yourself in the middle of a village square soccer game, being treated to a home-cooked meal by your new local friends or sharing a laugh with your fellow travellers as you try a new mode of transport … camel anyone? These unexpected moments are what travelling with Intrepid is all about, giving you a trip like no other. Intrepid realises the world is a really big place. And there’s a plethora of different languages to learn, borders to cross and cultures to negotiate. Small group adventure travel makes these things easy and allows you to maximise your precious time off. Instead of worrying about logistics, you can focus all your energy on having the experience of a lifetime. Their tour groups are small enough to feel like you’re exploring a destination independently, but big enough to create a good social vibe. Group size will vary depending on where and how you’re travelling, but the average group size is about 10. Intrepid’s themed trips encompass all hobbies and interests or could pique an interest in a new hobby you never knew you needed. From foodie explorations across Asia or India, sailing the seas in Thailand or the Caribbean, wildlife encounters in the Serengeti or Antarctica, scenic cycling or walking to Base Camp or through Tibet, and epic expeditions in Burma or Russia, you’ll be spoilt for choice. Intrepid is committed to operating in a responsible manner, incorporating the principles of sustainable development in the way they provide travellers with real life experiences. These values are ingrained in the culture and daily operations of every Intrepid office and tour. In addition, they hope their travellers also demonstrate the principles of responsible travel - respecting people, cultures and local environments; in the distribution of wealth; in good will and cross-cultural sharing; and in contributing to sustainable development.